Having designed and manufactured electric motion control products for the Aerospace & Defense industry for almost 100 years, AMETEK Airtechnology Group are specialists at producing high performance, highly reliable, wound electrical products. In recent years AMETEK has used these basic products and combined them to develop electro mechanical actuators (EMA’s) capable of replacing traditional hydraulic systems. 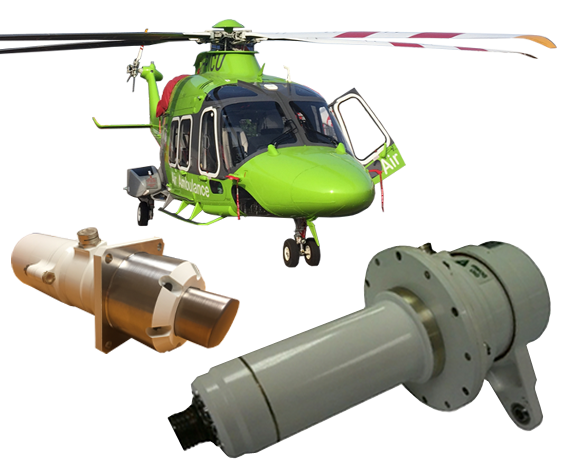 One such example of an electrical alternative is a helicopter electric landing gear system, developed and certified by AMETEK Airtechnology Group in July 2015. This flight critical system not only meets the reliability requirements necessary for certification but also delivers several other benefits including: low weight, low maintenance, reduced turnaround times, easy "plug & play" installation and can also be offered as a post-delivery option. The knowledge and experience gained in developing this flight critical system can also be applied to fixed wing landing gear and other primary flight controls. Aircraft landing gear retraction, extension and up/down lock.